Coconut Chutney – mumbaiya ishtyle!! Coupled with my love for travel is the keenness to try out local cuisines and flavours. I truly believe that no matter how fine a cook or how perfect a recipe, a dish tastes best in its own backyard. Everytime, I visited my sister in Mumbai, I would inquire of her what local delicacies had she tried out. Turns out that apart from asking her Maharashtrian maid to make sagodana khichdi (dry dish made out of tapioca and peanuts), she hadn’t experimented much. I wondered what her local supermarkets had in store by way of Maharashtrian flavours. Since my sister is wary of chillies, I decided to use in only 1 green chilli. I put it all (except the curry leaves) in a hand grinder and started grinding it. 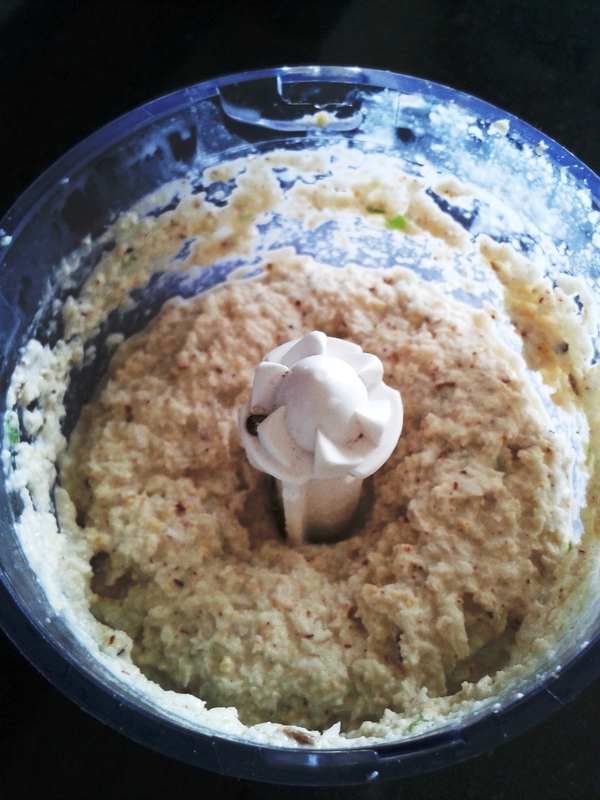 I then mixed in some salt (to taste) and about 5-6 tsp of fresh curd to this mix till it started resembling a chutney. Next, I heated some oil, added rai/mustard seeds and let them splutter a bit before adding in the curry leaves. When the curry leaves turned transparent, I took this off the heat. I, then, added this to the chutney and mixed it some more. It was so perfect and heavenly, that we polished it all off without even stopping to take one final pic!!!! And yes, the other 2 chilli would have greatly enhanced the taste of the chutney. Impressed by the proportions of the ingredient and the end result, I plan to carry a couple of packets back to Delhi as a perfect accompaniment for an afternoon brunch of home-made idli sambhar. I never realized it would be soooo “heavenly”…. Can’t wait to try it with my (Every) Sunday Breakfast of idli-sambhar… and also can’t wait for you to come and explore my supermarket ( & a couple of other such shops in the area) for more such stuff as i am not at all the “Experimenter” like YOU!!!! thanks so much sweetheart. And dont worry we will “experiment” it all together!!! Looking forward to the next one!! Previous Post My Marilyn Monroe moment!!!! !